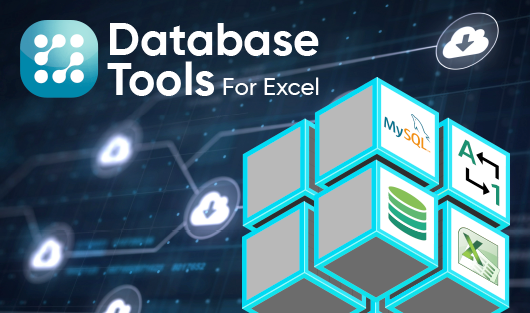 This tool allows you to recuperate data from a database to an Excel sheet, in an easy and friendly way. Never was importing a document that easy. This tool makes the importing files a child's play. Use this practical tool to save a range in or the worksheet or an entire sheet in other file type, i.e. in CSV or TXT format. Some times we want to select only the first row or first column of a specific range, but when it is too extensive, this task is very hard to accomplish. Suppose you have a database with 60000 records and 250 fields, and want to copy this database in other sheet. This tool selects all visible cells of a selected range or the entire active sheet. If no range is selected, the entire worksheet becomes the work area. Do you wish to join text of many cells to a single cell? This tool allow to perform filters in a data base. Excel only allows to apply filters that involve a single condition per field. Use this versatile tool to group records in a database, meeting the rigorousness you will usually need for a given operation. Do you wish to consolidate data come from many sheets contained in more than one workbook and the records are disordered? Then, this tool will make it for you. Use this advantageous tool to filter a database based on specific criteria. This useful tool allows you to make in a simple way, many arithmetic operations at the same time between spreadsheets. To stratify a database we need a stratification table. It means if the stratification table does not consider all possible cases a given field may take? This useful tool stratifies a database, by adding one more column to the database being observed. Use this valuable tool to merge two databases based on a common field. Analyze a database, record by record, with this valuable tool. Use Split field by groups to split a database in multiple data groups, according to repeated values in the selected field. Split field by date is the ideal tool to split a database according to date-type criteria such as year, month, day, week or weekday. This tool is especially useful when there are empty cells in a database and we need to delete them all. Delete hidden records in a database with this practical tool. It is especially hepful when we have grouped our database and hidden repeated records. Apply this tool to delete visible columns in a selection. It does not delete columns hidden columns in that selection. Use this advantageous tool to delete empy columns in a selection. Use this convenient tool to delete hidden cells in a selection. This tool selects cells of a given range, but only taking into account those with a given format. This is a useful tool that has been designed to make searching in a data range both simple and efficient. 1. Include the active cell in the range to be searched. 2. Click on the Easy Search button in the toolbar. Use this gainful tool to search all cells in a specific range with a particular background color and to do some math with the results. Multiple conditional analysis & formatting is the tool suitable to format cells in a database based on a criterion previously specified in the decision table. In this case, we have a table with the names and the score of each one of them, also a criteria table. This tool looks for values (or dates) duplicates in a specific column of a selected data base. If you wish to look for missing records in a data base through a field that contains a sequence (either numeric or date values) this tool will do it for you. This tool is specially convenient if you want to navigate throughout databases with records or fields stretching beyond the screen. We sometimes work with models whose information does not fit in the screen. And we may get lost as we navigate throughout the spreadsheet as the headings of our model would no longer be visible. Use Sheet Manager –a comprehensive tool that will make any worksheet management task easier to you. We have created a useful tool that will allow you to sort and display all open workbooks on the screen; furthermore, you can view different areas of a workbook. We often lose valuable time doing repetitive tasks -if, for example, we want to hide the headings in several sheets of the Workbook, we will have to do it one at a time.